Ingenieur und Architekt (1832-1923). Signature in: Ch.-Éd. 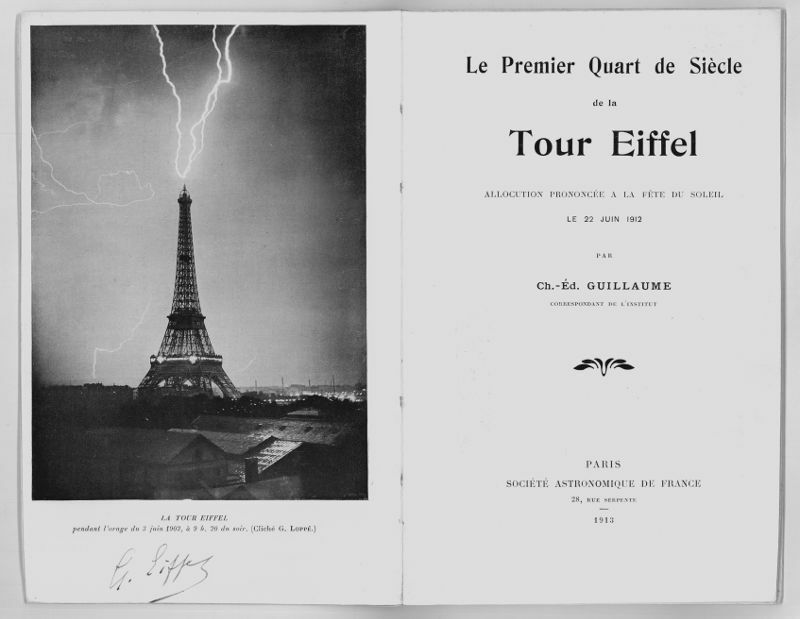 Guillaume: Le premier quart de siecle de la Tour de la Eiffel. Paris. 38 SS. Mit Frontispiz, zahlreichen Textillustrationen und 2 Klapptafeln. Moderne Broschur. 8vo. 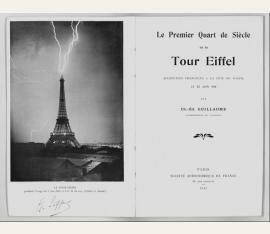 Personally signed by Gustave Eiffel. 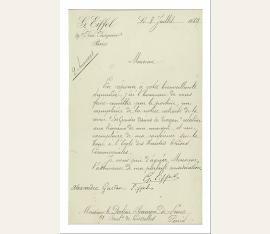 With eight-line ms. note on the half title, stating that two ladies paid a visit to Eiffel in his private office above the third platform on the tower and received the present book as a gift, which he signed under the frontispiece. The book discusses not only the history of the tower's construction but also its importance for engineering. - A fine copy.